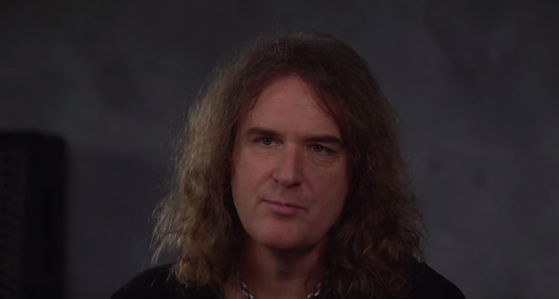 Megadeth bassist David Ellefson was recently interviewed by Tattoo.com, you can read some excerpts below. Asked why he doesn't have any tattoos, he responded: "The truth of it, for me growing up the only real artist that had tattoos was Bon Scott. He would take his shirt off in AC/DC, and it was scary. Dangerous men and sailors had tattoos. Bon came out and he was tough, dangerous and badass. It really wasn't part of my culture. I remember when Motley Crue got the 'Girls, Girls, Girls' sleeve and then everyone started to follow. I would say Motley was probably the leader of the tattoo generation, and then fast forward into the '90s and it was all of the new metal guys getting tats. Me and Dave Mustaine, are probably the only guys of 70,000 people here at the Carolina Rebellion festival that don't have tattoos."